February already – where does the time go?! This weekend is not a Work Weekend although there will be work going on so email info@sklr.net to volunteer your services. 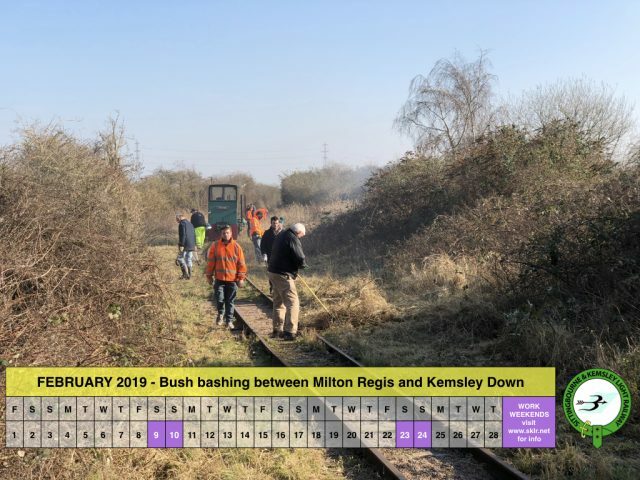 Passenger trains will start running again on Sunday 31st March so we need all the help we can get to get the Railway ready for the start of our 50th Anniversary of Handover year. Don’t forget to subscribe to our Weekly Newsletter, visit the Facebook Page or join the Facebook Group! Find out about our latest fundraiser for our 50th anniversary – Premier Parts. Sunday 31st – Mothering Sunday – trains will depart Sittingbourne Viaduct station hourly 11am-4pm, at Kemsley Down you will be able to plant a pot plant to take home to mum!